I have port forwarding setup, but my external IP address keeps changing. Can I fix this? 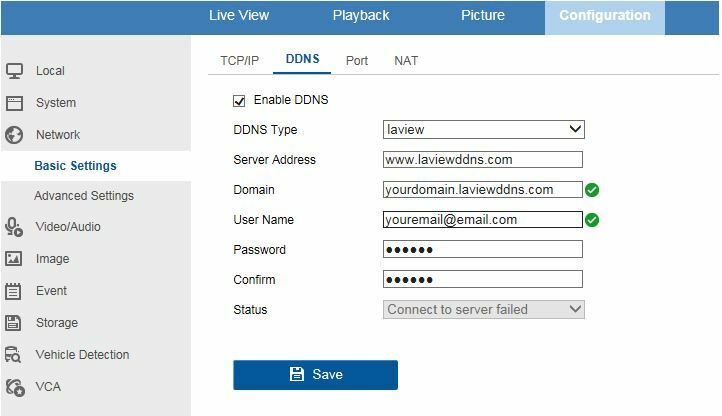 To set up a DDNS please go to www.laviewddns.com and register. After registering and creating your domain name we need to enable the DDNS feature. Please go to Main Menu>Configuration>Network>DDNS.